In another sign of increasing risk appetite, leveraged buyout (LBO) deals are completed at increasingly higher leverage (from S&P data published by Fortune). We are not at the heydays of the pre-crisis LBOs yet, but the leverage is creeping up. 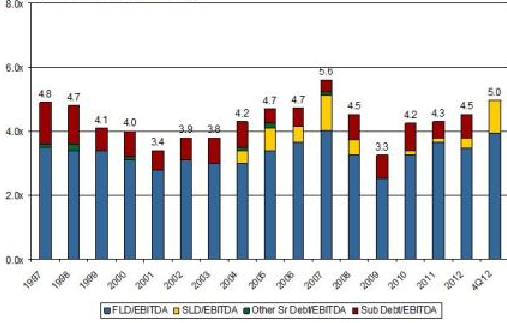 So far however, the amount of subordinated debt remains relatively low. 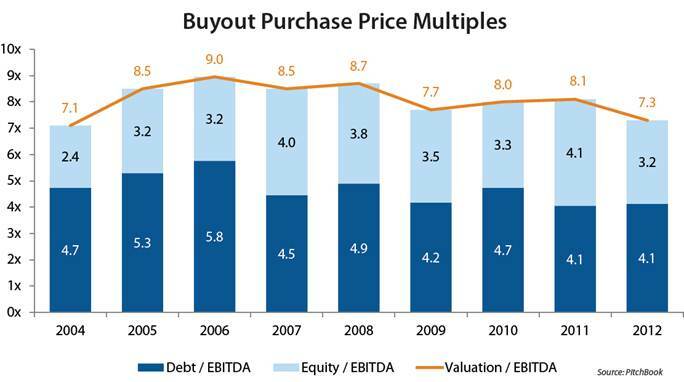 Even middle market deals are seeing increased leverage, particularly in Q4 of last year. 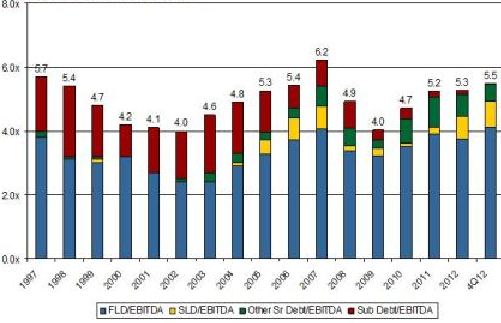 Some readers have pointed out that PitchBook data (below) seems to contradict what was compiled by S&P. The explanation is that PitchBook collects a great deal of small transaction data which includes companies too small to be tracked by S&P. What this is telling us is that the market has become bifurcated, with a great deal of capital chasing large transactions and larger companies. That also explains the overheated corporate bond market (see discussion), which is generally open only to larger firms. Consumer and small business credit remains relatively tight.